Even if you don’t live anywhere near Auburn, Indiana, pick up some cheap airline tickets into nearby Fort Wayne International Airport the next time you’re going to take a vacation. 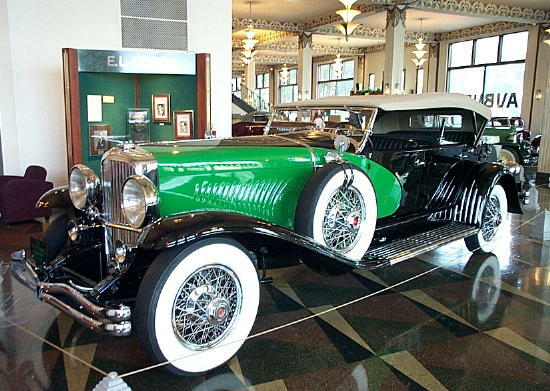 The Auburn Cord Duesenberg Museum (ACD) was named by MSNBC News as one of the Top 10 Gearhead Destinations in the United States. 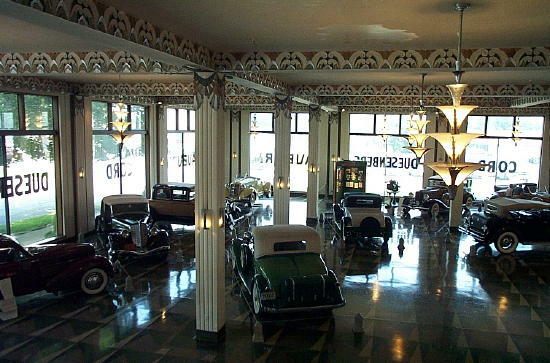 There are over 120 cars from 1894 to 1999 on display, covering 3 floors. 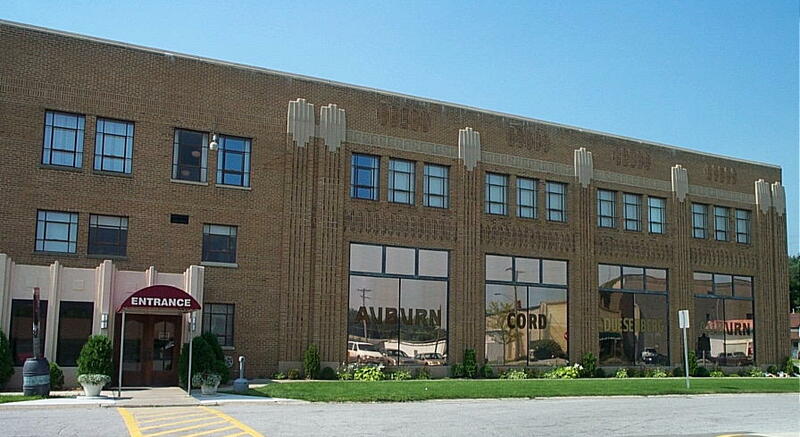 Formerly the Auburn Auto Company building, it was built in 1930 in the Art Deco style common of the old Detroit auto factories and is on the U.S. Register of Historic Places. Unlike many of the Detroit factories, all the cars produced here were hand-assembled. 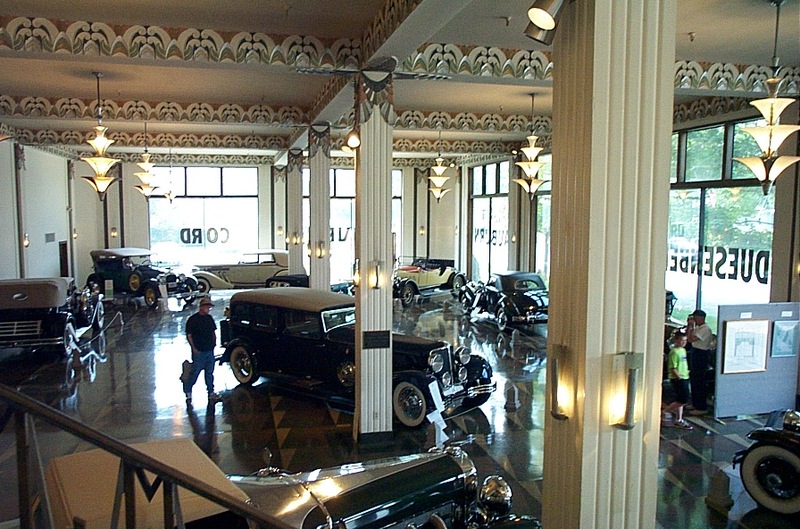 Also, if you’ve flown in and are doing an automotive vacation tour, don’t forget the Studebaker National Museum located in nearby South Bend, IN! 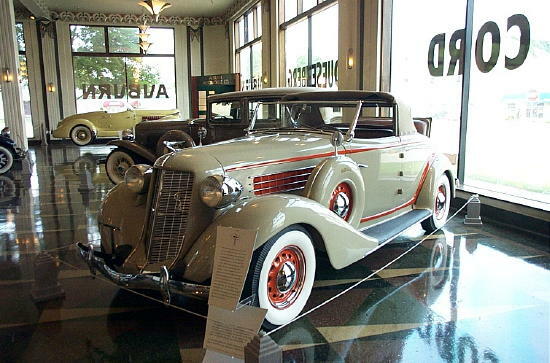 This entry was posted in Auburn Cord Dusenberg Museum 2004 on May 2, 2005 by John Trotta. This entry was posted in Auburn Cord Dusenberg Museum 2004 on December 11, 2004 by John Trotta.